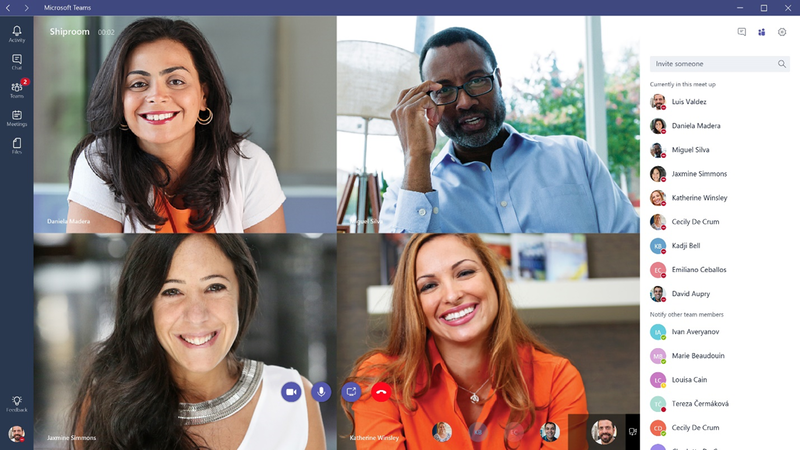 MICROSOFT: Today, during a global webcast from Microsoft headquarters, we announced that Microsoft Teams—the chat-based workspace in Office 365—is now generally available in 181 markets and in 19 languages. Since announcing the preview in November, more than 50,000 organizations have started using Microsoft Teams, including Accenture, Alaska Airlines, Cerner Corporation, ConocoPhillips, Deloitte, Expedia, J.B. Hunt, J. Walter Thompson, Hendrick Motorsports, Sage, Trek Bicycle and Three UK. We’ve also introduced more than 100 new features to deliver ongoing innovation and address top customer requests. With more than 85 million active users, Office 365 empowers individuals, teams and entire organizations with the broadest and deepest toolkit for collaboration. Office 365 is designed to meet the unique workstyle of every group with purpose-built, integrated applications: Outlook for enterprise-grade email; SharePoint for intelligent content management; Yammer for networking across the organization; Skype for Business as the backbone for enterprise voice and video; and now, Microsoft Teams, the new chat-based workspace in Office 365.